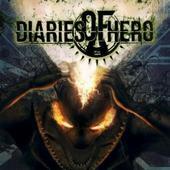 Diaries of a Hero is British metalcore with a perfect balance of clean and dirty vocals. It's fast and furious throughout and is at it's best when it's barely contained - when it's almost on the verge of chaotic. Sometimes it sounds like the band is just about to spin out of control and their music is going to explode into a maelstrom of malevolent notes, but they hold it together, skating the edge with raw emotion and rage that seems ready to bubble over into madness. This self-titled album could be the soundtrack for tornado chasing. It's at its most exciting when the music is ferocious and crazy but when it's all over you're relieved that it never reached the point where someone got hurt. For more information, check out www.diariesofahero.com .